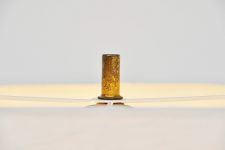 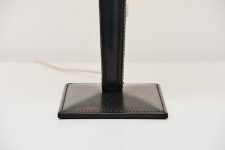 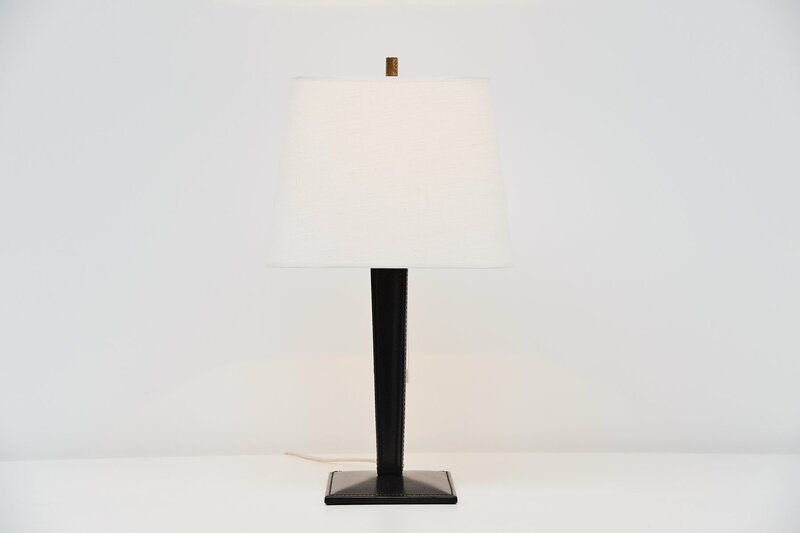 Very nice and decorative leather stitched table lamp in the manner of Jacques Adnet, France 1960. 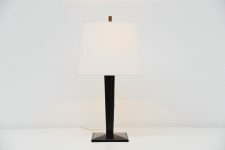 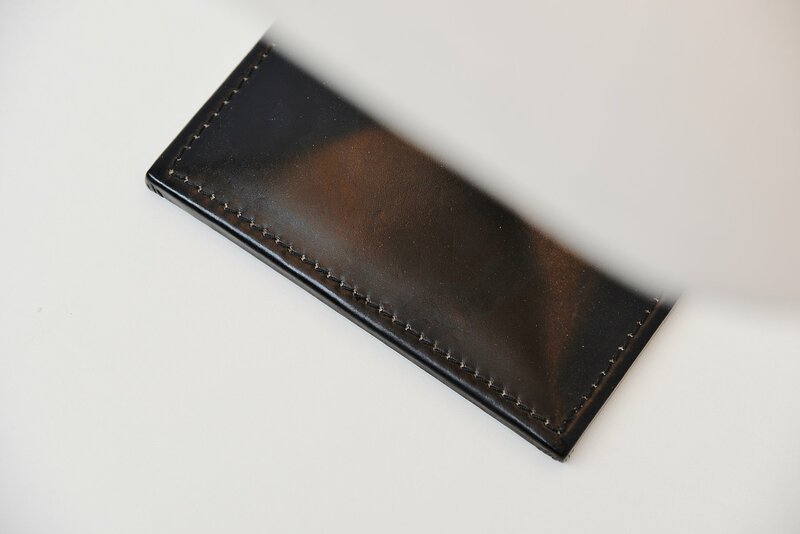 This lamp has a black leather base, nicely stitched and off white fabric shade (newly made). 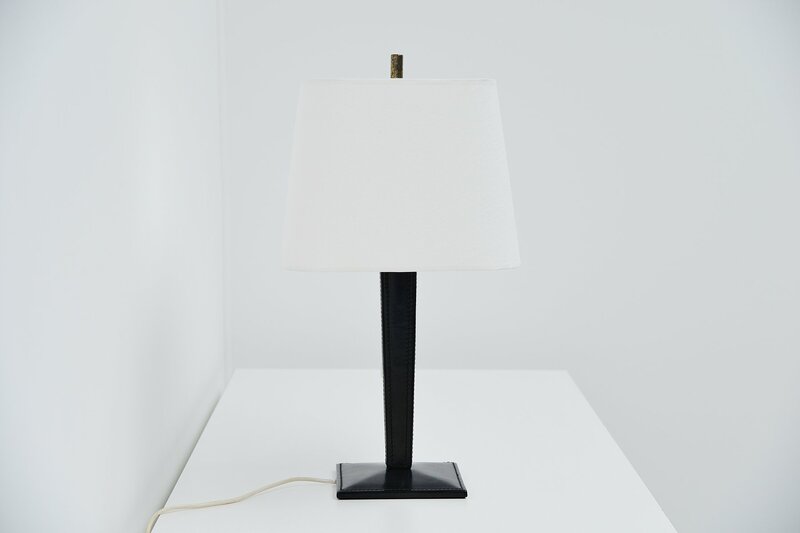 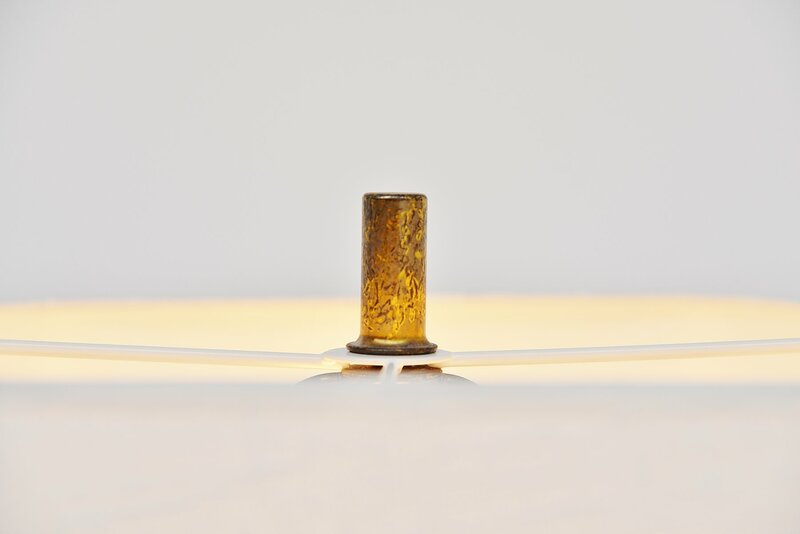 The lamp has brass details and on/off pull cord switch. 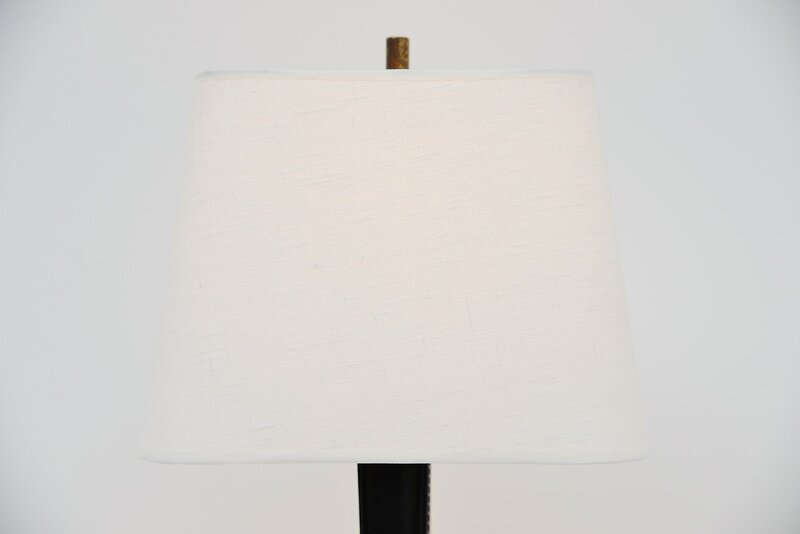 Lamp can use up 100 watt and uses a E27 bulb. Very nice condition very decorative, gives very nice warm light when lit.